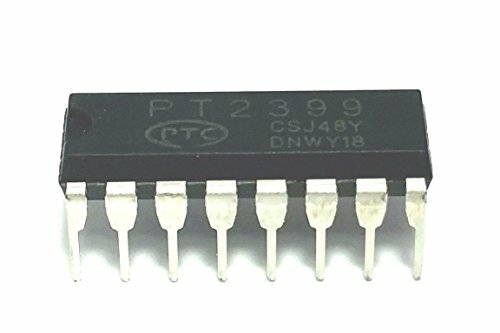 The PT2399 is an echo audio processor IC utilizing CMOS Technology which is equipped with ADC and DAC, high sampling frequency and an internal memory of 44K Digital processing is used to generate the delay time, it also features an internal VCO circuit in the system clock, thereby, making the frequency easily adjustable. PT2399 boast of very low distortion (THD < 0.5%) and very low noise(No < -90dBV), thus producing high quality audio output. The pin assignments and application circuit are optimized for easy PCB layout and cost saving advantage. If you have any questions about this product by Princeton technology Corporation, contact us by completing and submitting the form below. If you are looking for a specif part number, please include it with your message.